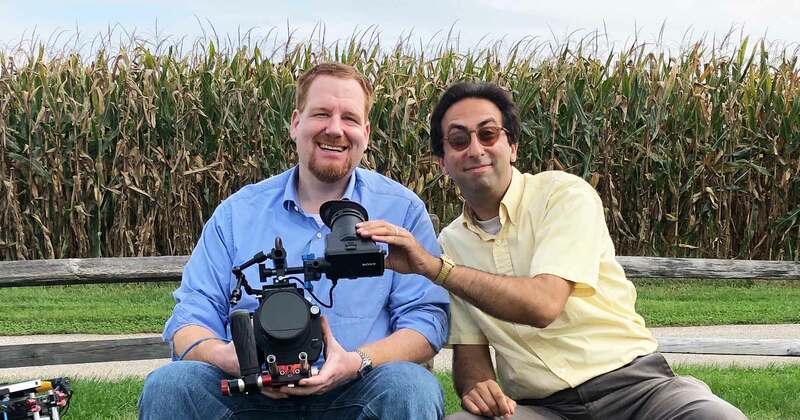 Gabe Nathan and Gabe Howard are two different people who live in two different states (Gabe N – Pennsylvania, Gabe H – Ohio). One grew up in an upper middle class environment, the other in a working class neighborhood. One worked in a psychiatric hospital, the other was a patient in one. No doubt that each has had, and still has, his share of challenging days and nights. In addition to sharing a first name, they also share a passion for busting stigma about mental illness. Gabe N lives with anxiety and depression and he is the Editor in Chief of OC87 Recovery Diaries. Gabe H is the host of two podcasts: A Bipolar, A Schizophrenic and a Podcast and The Psych Central Show. He is a writer and speaker who lives with bipolar and anxiety disorders. Mental health advocacy brought them together, but something deeper created a connection. So one fall day, armed with three GoPro cameras, a chase vehicle and an audio engineer stuffed into the way back of Gabe N’s van, we set off to explore this unique relationship, and record a day of driving and talk. And these fellas can talk. Conversation ranged from depression to anxiety to the trauma of high school bullying to theater to vasectomies to suicide to psychiatric institutions to the business of being a mental health advocate to the nearest location where Gabe H could score a Diet Coke. At times it got deep and serious, and other times just plain silly. The two didn’t always agree with each other, but they were respectful when they disagreed, and most importantly, were comfortable being vulnerable together—which may be the foundation of friendship. While both Gabes are skilled orators, and each writes with beauty and passion about his individual journey of mental health, there is real power when the two come together. Put them both in a car with a camera, press “record” and you’re bound to capture more than mental health advocacy—what you get is wonderful storytelling, artful conversation, heartbreaking realism and a portrait of a friendship based on deep, mutual respect. Enjoy this ode to friendship; OC87 Recovery Diaries’s holiday gift to you.